The Fantastic Four make a triumphant return with Marvel’s next generation of heroes—four young outsiders who teleport to an alternate universe, their physical forms altered in shocking ways. Their lives changed forever, Reed Richards (“Mr. Fantastic”), Sue Storm (“The Invisible Woman”), Johnny Storm (“The Human Torch”) and Ben Grimm (“The Thing”) must harness their incredible new powers and work together to save Earth from a former friend turned enemy, the infamous Dr. Doom. Can these unlikely heroes pool their talents and save the planet from a mysterious and powerful force? Find out with Fantastic Four on Digital HD now, and Blu-ray and DVD from 14th December. For the chance to get your hands on one of 2 sets of a Fantastic Four Blu-ray along with an amazing Quantum Gate model, just answer the question below. 3 runners-up will each get a copy of Fantastic Four on Blu-ray! 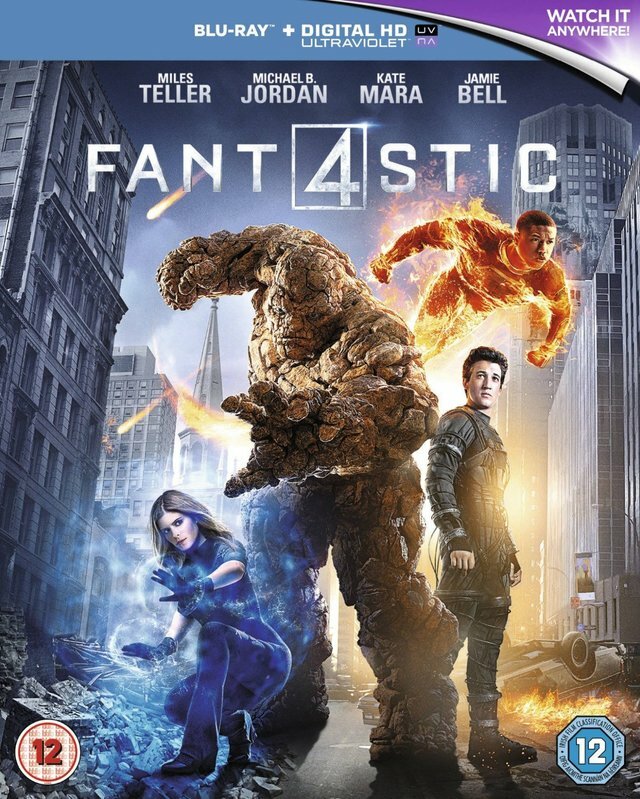 Own Fantastic Four on Digital HD now, and Blu-ray & DVD from 14th December.